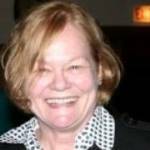 For the past 12 years, Helen Capdevielle has worked as a part-time reference librarian at St Louis University’s School of Law Library. She has served as law librarian at a large St Louis law firm and also as librarian at the Missouri Court of Appeals. She received her MLS from the University of Missouri at Columbia while working full time at the law firm. Much of the legal reference she has provided was spent assisting law students and new law associates. These groups were the inspiration for the CALI lesson on Missouri’s Primary Sources of Law. Since August 2013, she has resided in Geneva, Illinois, where she enjoys spending time with her family and grandchildren.